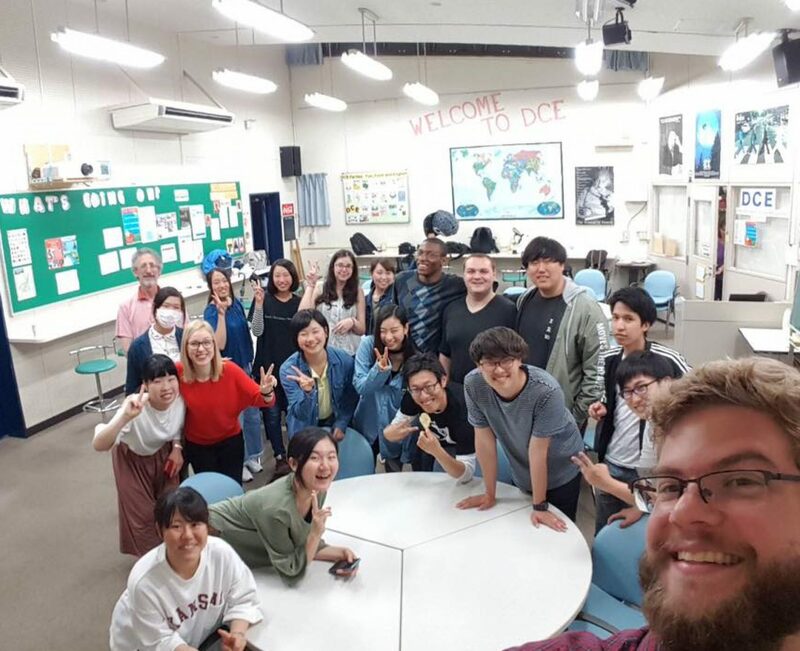 When I first arrived at the DCE, I was anxious about the lunchtime component of the internship and hesitant to sit with students that I didn’t know and might not connect with. As a generally introverted person, enthusiastically introducing myself to new people and holding the weight of starting new conversations does not come easily to me, and when I first sat down with students and tried to energetically connect, it felt uncomfortable and forced. However, after a half dozen or so lunchtimes at different tables with unfamiliar students, I realized that forcing myself to be enthusiastic and outgoing around new people and pushing myself out of my comfort zone became gradually less forced and less uncomfortable. A series of things had changed: first, I was getting to know the students and making genuine friends, so that each time I sat down at lunch there were one or two familiar faces. Second, I learned which points of conversation were generally successful: asking for recommendations of where to travel and what to eat in Japan, sharing photos and watching music videos, and talking about my interests in Kpop and Tokyo street fashion almost always got students excited and more confidently speaking about their own favorite shows or interests. A balance of familiar (Japanese/Asian) and unfamiliar (Western) topics proved to work really well; discussing both Disney and Ghibli, Marvel and manga, kept students comfortable and confident but also challenged and engaged. Third, my enthusiasm and energy became more natural over time as I became used to regularly introducing myself to new people and sharing my interests with the students. Of course, just as in any other situation, you can’t form a deep connection with everyone you talk to; regardless, if you’re friendly, approachable and willing to listen, it’s possible to have a good conversation with almost anyone. The experience is always tiring and conversations sometimes fall short – miscommunication and misunderstandings are common, largely as a result of the language barrier – but ultimately, it’s entirely worth it to expend the energy and put yourself out there. 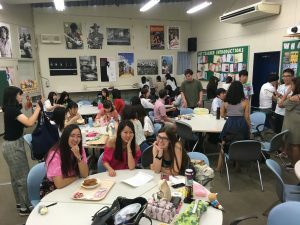 I’ve made some wonderful close friends at Ibaraki as a result of the lunchtime component of the internship, and I urge future interns to take advantage of the least-structured period of the day to really connect with students and have fun. In summary, if you’re considering interning at the DCE but you’re nervous about interacting with unfamiliar students and putting yourself out of your comfort zone: fake it till you make it. With time and practice, forced enthusiasm can become the genuine enjoyment of eating lunch with your friends.